What Is Narcotic Bowel Syndrome? Narcotic bowel syndrome (NBS) is a condition in which a person experiences increased abdominal pain and other gastrointestinal symptoms stemming from the intake of narcotic opioid medications. Such narcotic use does not have to be long-term, as the syndrome can develop after just a couple of weeks of use. In NBS, the increase in pain does not diminish in spite of increasing doses of the narcotic pain-relieving medication. Such increased doses end up serving only to increase subsequent pain. It is thought that chronic use of opiate narcotics results in changes to the nerves and muscles in the digestive tract leading to increased pain sensations and diminished response to further medication. One does not need to have a history of a prior digestive tract disorder in order to develop NBS. It can develop in anyone who receives high amounts of narcotic medication post-surgery or as a treatment for any pain condition. People who have chronic digestive symptoms from either functional GI problems like IBS, or other types of chronic digestive disease, such as IBD or diverticulitis, may develop NBS because their doctors have prescribed narcotics in an effort to ease the abdominal pain of those conditions. Often physicians are unaware that their prescription of narcotics may be making the problem worse. It is theorized that the number of people who have NBS is rising. It is somewhat shocking to read that the Unites States, which comprises approximately 5% of the world's population, accounts for 80% of narcotic use worldwide. Some NBS patients report that eating can aggravate pain symptoms. This can lead to food avoidance, which results in weight loss. In some cases, X-rays of the abdomen may show indications of a partial obstruction in the intestines, when in fact, it is only a backup of stool and air, prompting a diagnosis of either intestinal ileus or pseudo-obstruction. The primary treatment is to discontinue any use of narcotic medications. For some, this process will happen gradually, while for most this process can happen quickly. The length of time that is needed to withdraw from the medication is related to how long one has been using the narcotic medications. In other words, a person who develops NBS quickly post-surgery may not require as long a weaning-off process as someone who has been. This discontinuation of narcotic medications is done in conjunction with other medications and therapies aimed at minimizing the effects of withdrawal and offering alternative means for pain relief. In most cases, this can be done on an outpatient basis. However, patients who are experiencing nausea, vomiting or signs of intestinal ileus or pseudo-obstruction may require hospitalization. 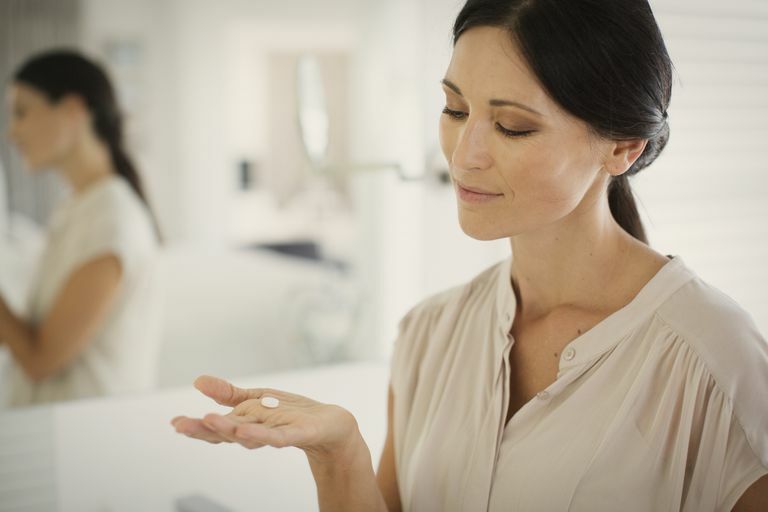 It can be challenging for patients to think about weaning themselves off of their medications as the drugs can offer pain relief. However, in cases of NBS, it is important to recognize that the narcotics are slowing the bowels down and contributing to the pain and other digestive symptoms that are being experienced. Antidepressants, due to their pain-alleviating properties. Anti-anxiety medications to ease the psychological effects of narcotic withdrawal. Psychological treatments, such as CBT, for pain management. Naltrexone ​helps people to avoid using narcotics. Many doctors treat NBS in the same manner as they would treat opioid-induced constipation (OIC), in which case a medication like Relistor (methylnaltrexone) would be prescribed. Grunkemeier, D., et.al. "The Narcotic Bowel Syndrome: Clinical Features, Pathophysiology and Management" Clinical Gastroenterology and Hepatology 2007 5:1126-1122. Minocha, A. & Adamec, C. (2011) The Encyclopedia of the Digestive System and Digestive Disorders (2nd Ed.) New York:Facts on File.